It’s a cool blue fire, okay. Such a relaxed fire. 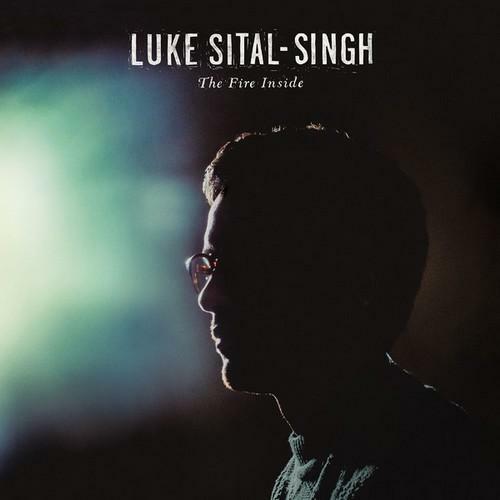 We’ve posted Luke Sital-Singh multiple times before. If you haven’t gotten with the program yet you’re just missing out. Now his debut album is out and you have zero excuses left. A few weeks back, when we caught up with him at Hotel Cafe, and we were able to get some questions to him. As for the show, it was as expected which is to say it was fantastic. One of those shows where even though you were in a room full of strangers, and sandwiched by friends, there wasn’t anyone else in the room besides you and the man on the stage. SM: How has Los Angeles been treating you? What impressions do you have of the city? LSS: It’s been great. It’s my third trip. All for different reasons and I’ve got a different taste of the place this time around. I still haven’t had the time to do anything touristy. I really want to go to venice but maybe next time. SM: What is your favorite city you’ve played in the States? LSS: I’ve only ever played LA and Austin as part of SXSW, which is a nuts experience. The couple times I’ve played Hotel Cafe in LA have been great. I love it there. SM: Not all of the previously released songs off your EPs have been selected for your debut album The Fire Inside. What was the process behind what songs made it and why others didn’t? LSS: It wasn’t a tough process really. I didn’t want the album to made up of songs people had already heard so I was quite selective about what old songs made it. It was just down to the strongest songs really. When you’ve released 3 EPS and toured them around you get to know which songs resonate best so it was an easy choice in the end. SM: Fail For You came out about two years ago. How have you and your music changed since then? How, if at all, is that reflected in The Fire Inside? LSS: It’s all just got a bit wider and a bit taller. More instruments, more energy. I still like the intimate approach I had back in the Fail For You days. That’ll always be my favourite kind of music, but it’s been nice to open things up and get the drum kit out. SM: In terms of performing, is there a certain way you try to perform on stage? A certain persona if you will? Or does it change from song to song? LSS: No not really. I just try to sing every word like I mean it. There are a whole bunch of great singers out there these days, but I find myself listening to them thinking ‘I don’t believe them’. It’s not a clear thing makes someone sound believable. But you know it when you see it. So that’s my hope. SM: A bit of a silly question but, if you could have any super power on stage to give the best live performance you can possible think of, what would that power be and how would you use it? SM: Switching gears a bit… Making independent music often means creating your own music with full creative control. However, an aspect that often gets overlooked is that you also have to manage the business and marketing decisions that have to be made. Over the years, I’m sure you’ve seen independent acts launch themselves with various degrees of success. As for your own music, did you have a strategy as to how you wanted to launch yourself? What were some of the business and marketing decisions you had to make in those initial phases? LSS: I personally had very little strategy. For me music started as an interest and evolved into a passion. I just kept writing and gigging until I was quite good. I also had another passion in technology and the internet and so I got into the whole internet distribution stuff with glee. I was always tweaking my myspace layout and all that, which probably didn’t help me at all, but I was always signing up to the latest online music service and trying to connect with fans. also, I wouldn’t call it a strategy, but I have a ferocious attention to detail which meant that everything I did had to be perfect, especially the way things looked, which is probably why I kept tweaking the myspace page so much! I’m also obsessed with simplicity. There’s a lot going on in the world these days, and lots of artists who do tons of stuff, they do this and that and they can loop it and make a beat and ‘omg it sounds like a band but it’s just one guy woah’ and I’m just this bloke who does the one thing. Just trust the damn song and sing it. I love the simplicity of doing one thing well. The simplest things are often the hardest to perfect. Standing on stage with one instrument and singing a song looks pretty simple but it’ll take me a lifetime to get just right. SM: Most writers have their favorite. You write your own music and lyrics. Is there a particular song and lyric that you’ve written that you’re particularly fond of? If so, why? LSS: Nearly Morning is one of my all time favourites. I remember writing it for my then girlfriend, now wife, Hannah. She is also an artist and was going through a rough patch as most artists do, where we start to doubt ourselves and get overwhelmed by the path. I spent the morning talking with Iain, my producer and collaborator about it all and after a bit of therapy this song just tumbled out of us. It was a really special moment when we sat back to listen to what we’d done. I think we were both pretty moved by it, which is usually a good sign.